Many Spartan fans are rushing to make travel plans to head to Minneapolis this weekend, but will tickets be available? Michigan State University only has about 3,400 tickets to sell for Saturday's Final Four game against Texas Tech. EAST LANSING, Mich. — Many Spartan fans are rushing to make travel plans to head to Minneapolis this weekend, but will tickets be available? Michigan State University only has about 3,400 tickets to sell for Saturday's Final Four game against Texas Tech. The limited number of tickets means an almost unlimited opportunity for scammers. "Tickets are going to be really hard to come by. 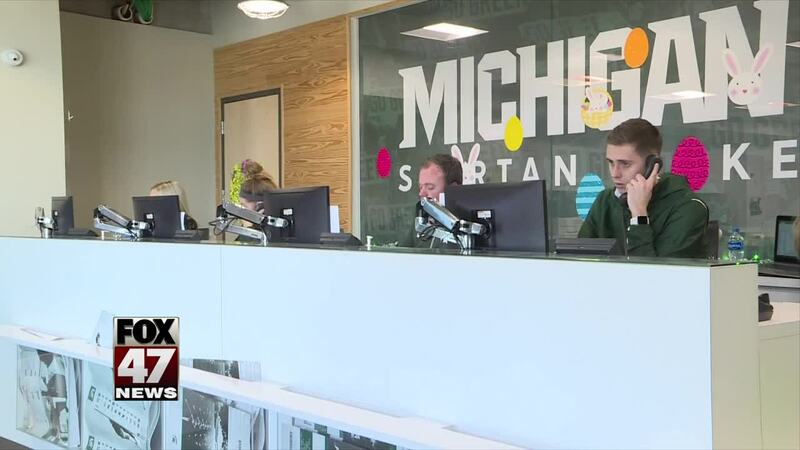 The University's allotment is rather small, and so for most people, the easiest option for them will be to go to Stub Hub or another third part site to be able to look for tickets," said Maria Giggy, director of alumni programming for MSU. MSU stopped taking ticket requests at 5 p.m. Monday. Ticket brokers may be the only way to get into U.S. Bank Stadium. "The first thing you want to do is figure out what are the terms of those websites. What kind of protections do those websites give you?" said Troy Baker with the Better Business Bureau of Western Michigan. The Better Business Bureau says scammers take advantage of times when so many fans are in a rush. "Sometimes it's an offer of ticket packages or maybe they say you won a ticket package to the Final Four. First off, if you didn't enter a lottery, you didn't win," said Baker. The BBB also warns about wiring money and using prepaid debit cards; both of those types of payments are often times signs of a scam. The bottom line is, if it sounds too good to be true, it probably is. If you can't make it to the game, don't worry; there are plenty of events going on in East Lansing and Minneapolis for fans and alumni. The MSU Alumni Association put together the following schedule .